There is a generation of Americans that grew up watching animated adaptations of Akira Toriyama’s “Dragon Ball” come to life every night on Toonami. Hooked in by the series’ frenetic fight scenes and impossibly deep list of iconic characters, fans followed the adventures of Goku and his friends from their formative years until they were old enough to go to college and write Arts & Culture articles. For them, there’s nothing quite like “Dragon Ball,” but over the last 20 years, they endured some of the lowest ebbs of the franchise. Even the just-ended “Dragon Ball Super” anime that ran since 2015 came with its own share of issues. Franchise fanatics will recognize the film’s titular character from the popular trio of non-canon movies he appeared in years ago. For Broly’s newest showing, the first to be considered an official part of series lore, Toriyama took only the most basic elements of the burly villain and reworked everything else to fit a new story. The result is a compelling, complicated character that resembles the muscle-bound meathead in name only. Incredibly, the Saiyan, once mocked for his lack of depth, is now a strong point in arguably the series’ best film. The franchise’s 20th film takes some unexpected choices in reworking some of the series’ backstory, incorporating parts of Toriyama’s “Dragon Ball Minus: The Departure of the Fated Child” manga in a way veterans of the anime might not find beneficial. But within the context of the movie and the franchise as a whole, the film’s opening fleshes out some truly fascinating aspects of “Dragon Ball” history in a way that helps set up the action to come. Old characters are given new life and new relevance in a way that never compromises the icons so many people around the world grew up loving. “Broly” is a sensory masterpiece on multiple levels. Animation Director Naohiro Shintani introduced an entirely new animation style for the film that feels both fresh and familiar. Shintani’s frames are crisp and sharp, the colors are beautiful and the style is a great compliment to some truly special set pieces. “Broly” runs the gamut from alien worlds to earthbound tropical paradises and arctic tundras, and every bit of it is magnetically well-drawn. The film’s strong plot and animation are bolstered with a powerful score from composer Norihito Sumitomo. A relative newcomer to the series, Sumitomo’s orchestral style might seem out of place to American fans who grew up with the guitar-driven soundtrack Bruce Faulconer employed in “Dragon Ball Z”’s English dub, but he makes a nice successor to series sonic mainstay Shunsuke Kikuchi. “Broly”’s score shifts from dark and foreboding to beautiful and tragic with little problems, and apart from some questionable numbers near the movie’s climax, there’s nothing so unusual that it ever feels like a detriment. While “Broly” is a well-rounded addition to the franchise, the strongest parts of any “Dragon Ball” product are its action sequences, and this new film is no exception. It’s frankly amazing that a series started over 30 years ago can still find new and exciting ways to make superpowered people beat up on each other. But this latest iteration more than rises to the occasion. Goku and Vegeta are unfathomably powerful at this point, but Broly really feels like a threat to two of the strongest characters in anime history. Almost half the movie is one long fight scene, but it’s so well done and easy to follow that it never stops being a thrill to watch. The one real problem the film has is its jarring transitions from traditionally animated 2-D scenes to its stretches of 3-D computer-generated action. Turning some of the films over to computer-generated imagery (CGI) is an understandable choice since there are visual effects within the film that human hands couldn’t possibly render, but the sudden shift in style can distract from what’s actually happening on screen. While no part of the movie could be called “ugly,” in a perfect world Shintani’s beautiful animation style wouldn’t vanish for even a moment. 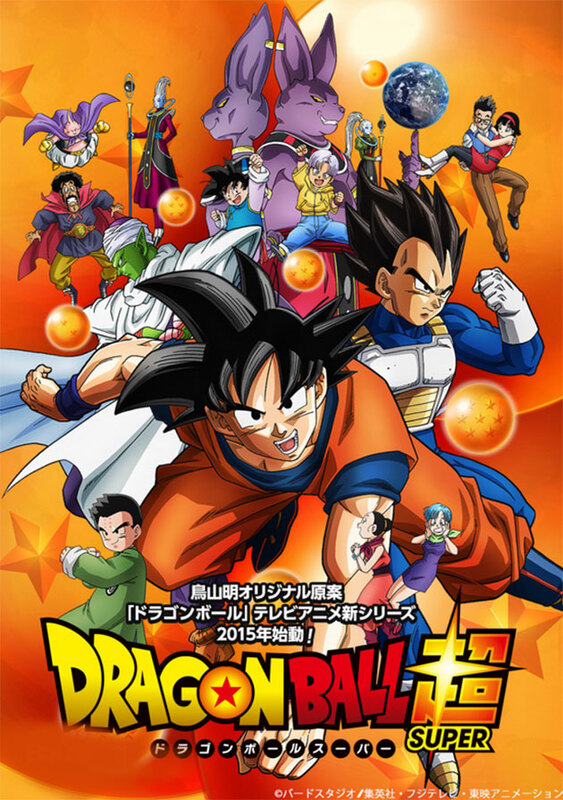 The continued popularity of Toriyama’s long-running franchise, thanks in large part to Super and popular fan projects like Team Four Star’s “Dragon Ball Z Abridged” YouTube series, helped build a lot of hype for what has already become the series’ most successful film by a wide margin. The acclaim “Broly” has received from critics and fans alike might just ensure the iconic franchise has a long and prosperous future ahead. All in all, “Broly” has a lot going for it that newcomers to Dragon Ball are sure to appreciate. But it never loses its power to turn longtime fans back into grade-school kids rushing home from the bus stop to catch a new dose of their favorite show. The film has a transportative glory to it, an effortless balance between new and nostalgic that anybody who grew up with the series owes it to themselves to experience.